Residential - Northeast Water Solutions, Inc. Concerned about the drinking water in your home? 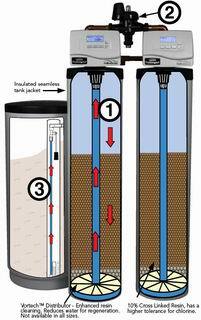 If your water source is from a well, city water or even sea water, let Northeast Water Solutions, Inc. (NWSI) provide the solution to your water problems. Our in house professional Engineers and certified Operators will provide the following to make sure the proper water treatment system installed in your home works for you. Contact us and NWSI will schedule a site visit with you to review information and collect data on your water quality and source; inspect and check the performance of existing treatment equipment and evaluate your water needs. We can provide a full line of water softeners, corrosion control systems, water filtration equipment, drinking water systems and even whole house Reverse Osmosis systems for sea water conversion. 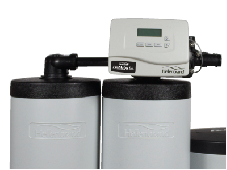 NWSI offers Hellenbrand Water Softeners and Filtration equipment. Service: NWSI licensed operators offer 25 years of experience in the water treatment industry and can service most makes and models of water treatment equipment including the following: Culligan; Fleck; Clack; Water Soft; Ionics; Sears; Rain Soft; G. E. and Autotrol. We offer full complement service contracts. Salt and Filter Delivery Service: NWSI offers delivery of water softener salt; potassium chloride; soda ash; pot ash; replacement filters and other consumables.